Spring has finally sprung and what better way to enjoy the warm weather than to soak up the sun and dive into a new book that will help you polish up your marketing strategies and get ahead in 2019? 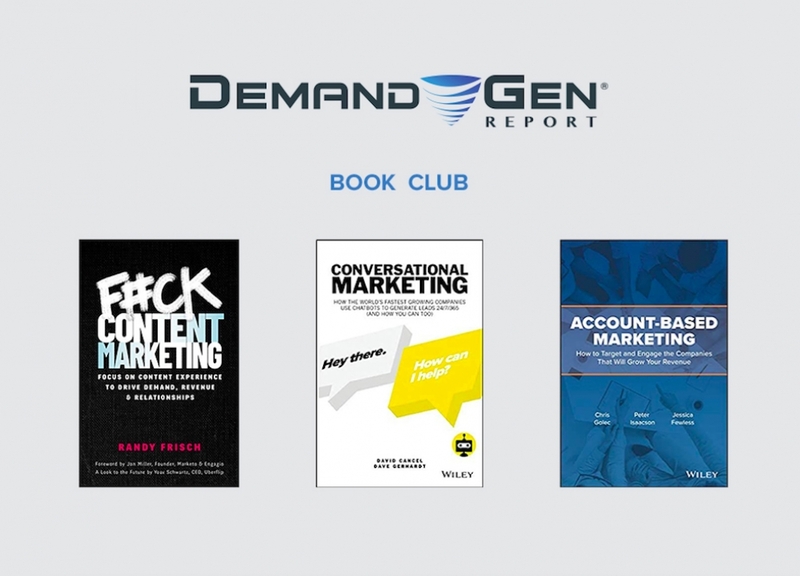 So grab your sunglasses, get some lemonade ready and find a sunny spot to settle down in and enjoy these new releases from sales and marketing industry experts. When it comes to content marketing, more isn’t always better. In fact, 73% of buyers say they have less time to spend with content, so modern marketers should focus more on quality over quantity. 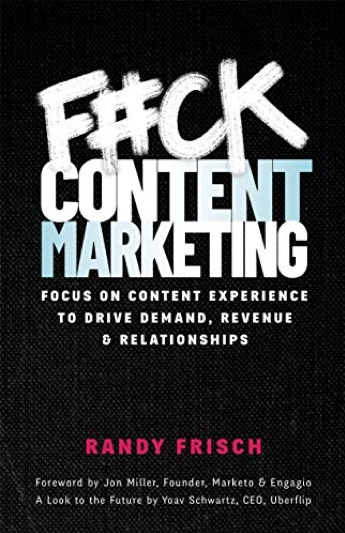 In his new book, Uberflip Co-Founder, CMO and President Randy Frisch offers a framework for how B2B brands can create personalized content experiences similar to Netflix and Spotify that engage audiences at scale and enhance marketing ROI. If you need more reason to check it out, Frisch is currently donating $5 to The Hospital for Sick Children for every book purchased between now and April 26. B2C-style buying habits have transformed the B2B world as buyers increasingly demand a more consumer-like experience and crave more informal relationships with their vendors. In this new release, Drift CEO David Cancel and VP of Marketing Dave Gerhardt explore how forward-thinking B2B companies use conversational marketing to better connect with buyers and get ahead of the competition. 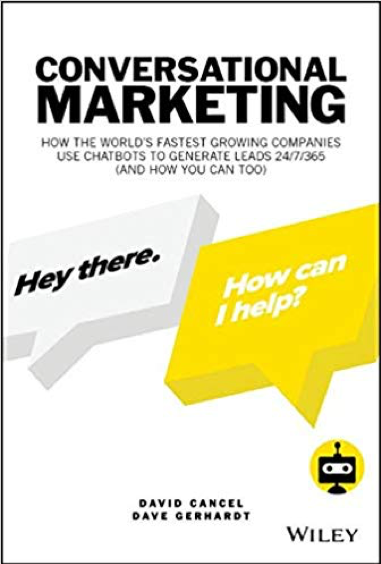 The book is designed for seasoned executives and new marketers alike and includes key takeaways from fast-growing brands that have embraced chatbots as a cornerstone of their marketing strategy. Seventy-four percent of ABM practitioners say they are meeting or exceeding expectations and more than half (60%) plan to invest more in ABM, according to Demand Gen Report research. 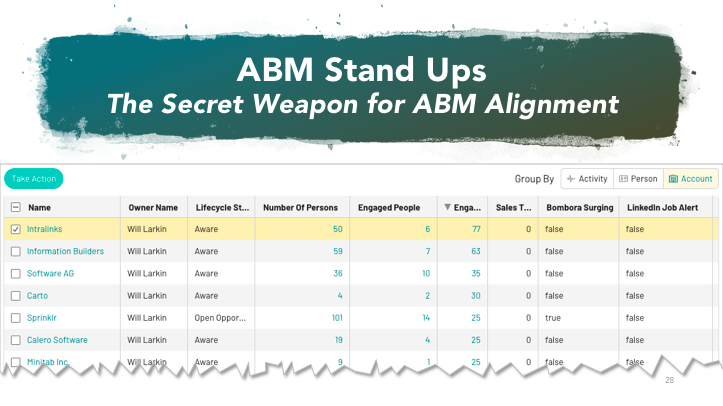 If you’re looking to scale your ABM program or increase executive buy-in, this book is for you. 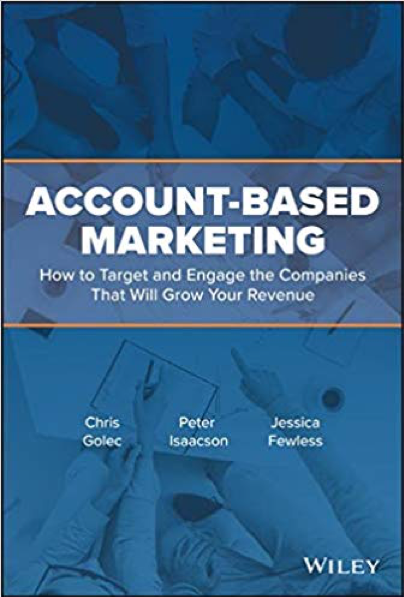 Written by Demandbase executives Chris Golec, Peter Isaacson and Jessica Fewless, the book is designed to offer a step-by-step guide to executing a world-class ABM strategy, including how to find and attract the right accounts, integrate your sales and marketing processes and promote ABM adoption within your organization. You may be familiar with Demand Gen Report’s B2B Marketing Exchange, which takes place annually in Scottsdale, Ariz. Due to its success and the valuable input from our awesome attendees throughout the years, we decided to join forces with The Pedowitz Group and #FlipMyFunnel to bring you an “East Coast version” with a twist. This new initiative will bring #FlipMyFunnel, REVTalks and the Demand Gen Summit together under one roof, where we will combine both sales and marketing into the agenda to give attendees a view from both sides of the fence. 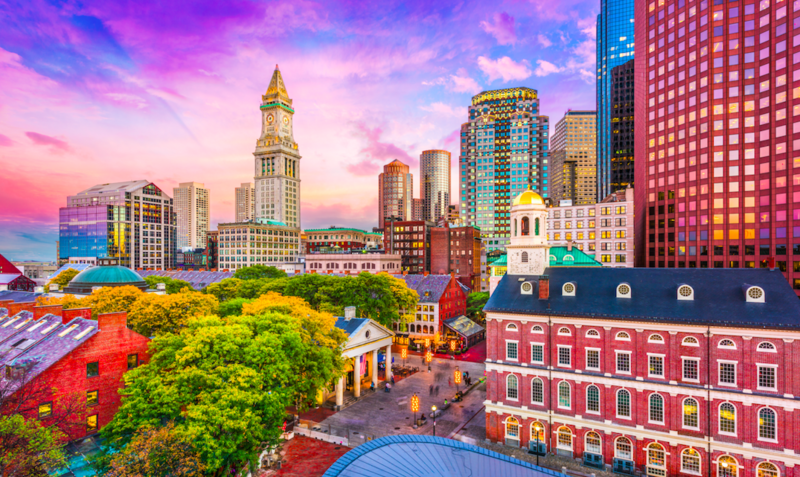 Your trip to Boston will be packed with insights on the latest B2B marketing and sales trends from some of the brightest minds in the industry. The event will feature three tracks: #FlipMyFunnel, REVTalks and the Demand Gen Summit — each one offering practical tips and takeaways from B2B influencers to help marketing and sales teams work more closely together to improve strategies and close more deals. So, if you struggle with sales and marketing or cross-organizational alignment or just want to improve the overall success of your teams, this event is perfect for you. All the event fun will take place at the new Encore Boston Harbor Resort & Casino opening in June 2019 (reservations are now open). The beautiful location is surrounded by water (and, no, you don’t need to hop on a boat or ferry to get to it) and stunning views of the Boston Harbor. 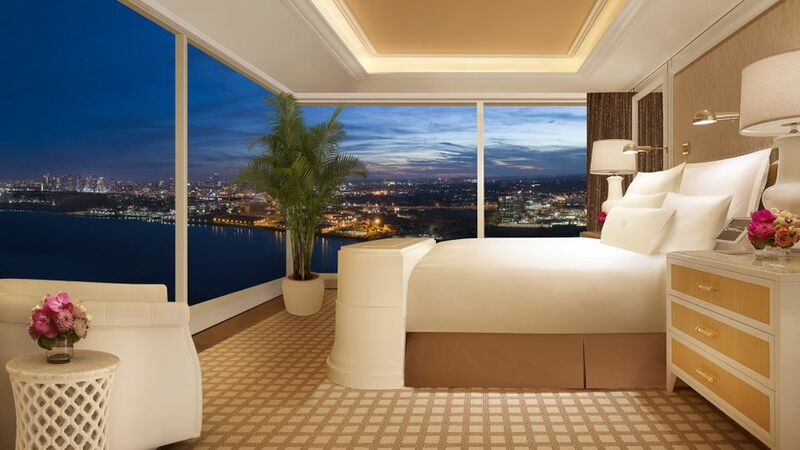 The rooms are impeccable, as will be the hospitality, dining, shopping, gaming and ultra-premium spa. 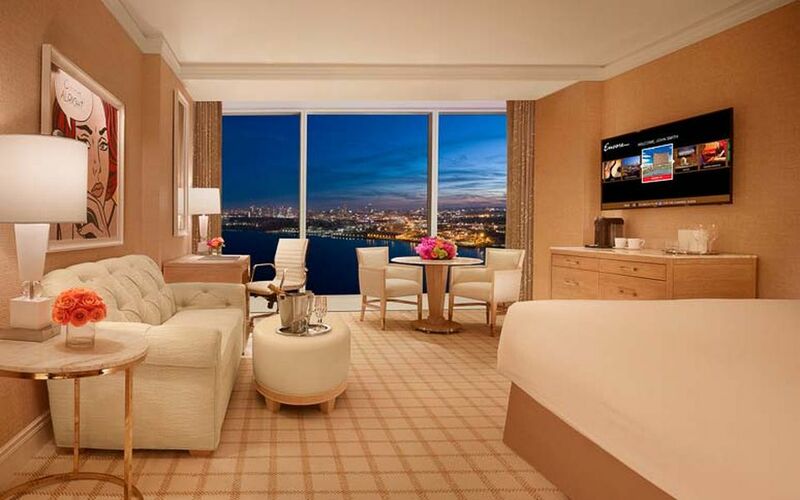 According to Encore, the luxurious resort has been “designed to seamlessly blend with the city’s rich cultural heritage and natural beauty.” We’re talking 507-thread-count linens, 4K televisions and voice-activated system controls, marble bathrooms with deep-soaking tubs and much more. After a full day of learning and networking, you’re going to want to crash here. August is the perfect time to visit Boston and experience the wonders this fun city has to offer. Extend your stay to catch a baseball game at Fenway Park, go whale watching in the Boston Harbor and grab a drink at the world-famous Cheers Restaurant (the original inspiration for the setting of the TV show “Cheers”). Plus, you’ll be in the center of the New England food scene, with the freshest fish, lobster and the like all at your disposal. Don’t forget to pack your appetite! This is just the tip of the iceberg. To be the first to know about the agenda and any event updates, drop us a line here. We hope to see you Boston this August! /I had the opportunity to attend Salesloft’s Rainmaker conference in Atlanta, Ga. last week, where leading sales experts took the stage to discuss changing buyer behaviors and how modern reps can adapt to these new expectations. A key theme of the event was the “sales revolution,” which focuses on how sales teams must cater to digital transformation and practice new ways of servicing customers. 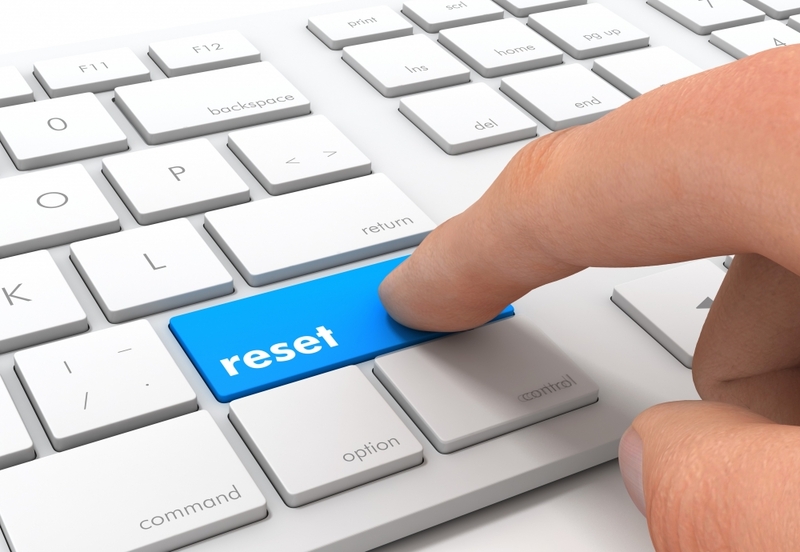 Klaudia Tirico: Let’s talk about the “Sales Revolution” — what does this mean to you and the SalesLoft team? Why should sales reps adapt to this new era? Sydney Sloan: When we were thinking about the theme for [the Rainmaker event] this year, we knew that digital transformation is real, and organizations are going through that. I mean, that’s a proven concept already. When you think about the areas that businesses have focused on, it’s involved setting up their digital properties and orchestrating their website, maybe updating their infrastructure, but the conversations that I’ve participated in the most is really around the cultural shift that also needs to occur in a way that companies have to adapt to new ways of working and new ways of servicing customers. We took that as the inspiration and really looked at it as this transformation has happened. Customers’ and buyers’ needs have changed, including their desires and the way that they want to be served. Therefore, sales teams have to go through this revolution in order to be able to serve their customers. It’s a sales transformation, a sales revolution, you know, it’s all of that together. 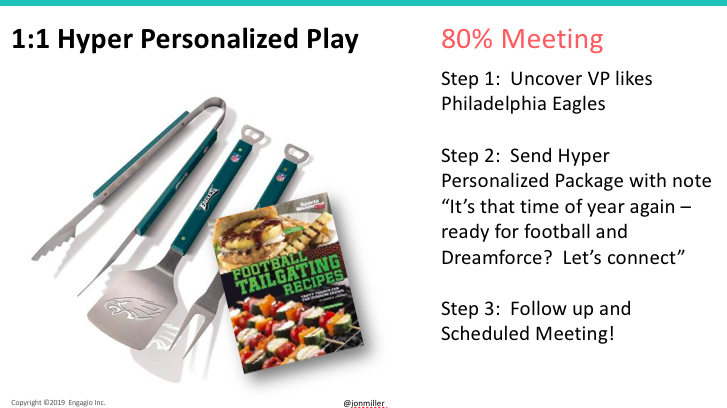 Tirico: A common discussion throughout the event has been around sales and marketing alignment — or better yet, alignment across the organization. As a CMO, how do you maintain this alignment at your organization? What advice would you give other B2B marketing and sales teams looking to achieve it? 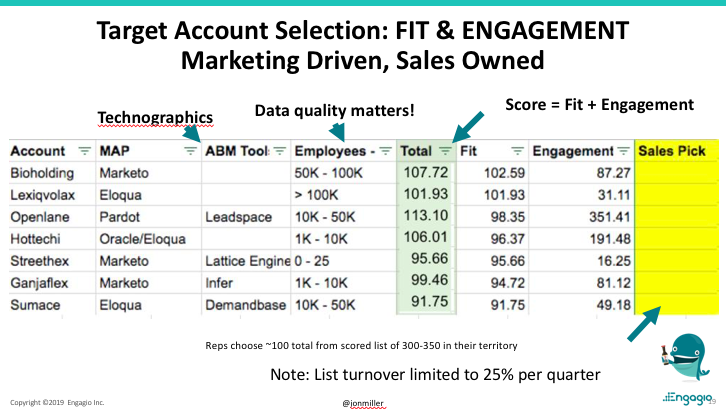 Sloan: I’ve been a fan of account-based [strategy] for many years, at many companies that I’ve been through. So, it was a relief for me that SalesLoft had already adopted an account-based strategy from the get-go. I think, too, if sales and marketing aren’t aligned, the business isn’t aligned. I ask, “Is it better to be right or to be aligned?” I would argue that it’s better to be aligned. If two people fight to be right and you’re not aligned, you’re not going to get anywhere. It’s better to get that sales and marketing alignment around the strategy of go-to market, and our choice to do account-based was because, if you think about it, you want to put your effort towards your most highly valued customers and your most highly valued prospects. If you can align all your resources on a smaller amount of companies you’re going after, then your chance of converting those is higher. In our structure, we won 100% of our tier-one accounts last year. That tells me it’s working. I’d rather go after 10 top accounts and get them than 100 accounts and get 10, because I know that I’m doing a great job. The other thing is, when you think about sales and marketing alignment, the goal really is around aligning in the customer journey. You want to be able to have the same experience for the customer as they go through the marketing funnel, as sales is reaching out to them, and especially that hand-off when they become a customer. During that critical first 90 days, you have to focus on that and then how you grow that relationship with the customer over time. That alignment, first around the customer and how you serve that customer and aligning all their hand-offs and touchpoints seamlessly will deliver the best possible experience for the customer overall and that’s what you’re ultimately trying to achieve. 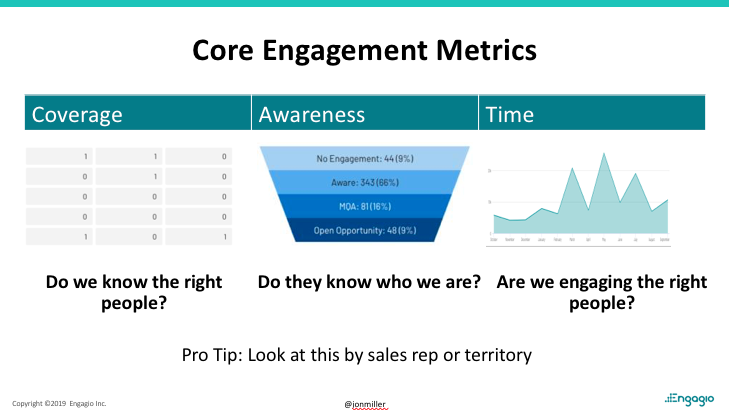 Tirico: What do you expect your sales counterparts to discuss with you in terms of ensuring that sales messaging and strategy aligns with your team's go-to-market strategy? Sloan: When we are building our go-to-market strategy and our messaging to go after our customers, we very much do it together — everything from our account selection, planning, the frameworks that we use in order to identify our accounts, then, the way that we’re going to go after those accounts. Sales enablement is actually the glue in that equation. We’re working with the sales enablement team on identifying what the messages are going to be and how we’re going to prospect into those accounts. Marketing warms up but we’re technically going at the same time, after the same customer set and so, our messages absolutely have to be aligned because it’s one customer. They get one message and so, what they’re receiving from our sales teams and their outbound efforts and what they’re seeing in the marketplace from marketing have to align. Tirico: Why do you believe companies should scale back on the product talk and develop messaging focused around the buyer? Sloan: I think Danny Meyer reflected on this when he talked about the “Cheese Key” — which I loved. Anything that talks about cheese, I’m in. They trained their teams to understand their product offerings and the problem was that when they went up and it took them 20 minutes to describe every single type of cheese without even knowing if their customer wanted cheese. Today’s successful seller has to be a problem solver and you do that by asking great questions and collectively solving the problem with and for your customer. It doesn’t matter if the product goes 10 miles an hour or 50 miles an hour. It’s the people I want to work with in partnership and at the end of the day, it’s the people I want to work with. I’ll pick a company because of the relationship. The product still has to solve my problems but if two things are equal, I’ll go with the partnership. Tirico: Diversity and women in the workforce was a common discussion at Rainmaker this year. Why do you believe it is so important to embrace diversity within B2B organizations? Sloan: Yes. We set a goal for ourselves to have 51% diversity in our speakers and we hit 54 — 46% were females, which was great. I think in the sales profession, you have to reflect your customers. They come from diverse backgrounds, diverse cultures and so, our sales teams and our customer-facing teams need to be a reflection of our customers because at the end of the day, it’s the partnership that you build. So, you want to bring that collective experience together in order to be able to build and foster those relationships. The buying cycle is getting more and more complex. There are more buyers and stakeholders. So, you have to be able to match that on the sales side in order to be able to align those different mindsets, skills and personalities and bring the best thought to the table. Tirico: What advice would you give other women looking to grow into C-level positions? What do you wish you would have learned from others when you first started out in the industry? Sloan: What I’ve learned is it’s the relationships and the bridges you build along the way that actually make the most difference. I think fostering strong relationships, asking for help, identifying leaders and investing the time to understand what makes them tick and then not being afraid to go for it. There were a couple of times, too, where I got offered great jobs, absolutely fantastic jobs in great companies, and I stayed clear to my goal. It was hard to turn down those jobs, but I knew what I was going for and so, I stayed patient and continued to go for what ultimately was that I wanted. I think that’s true in life, as well. As people talk about work/life integration, sometimes it’s right to go that next stage but sometimes it’s okay if you need to get your life in order, if you have things that you need to deal with and the job you’re in allows you to do that, that’s okay, too. I think you do really need to be realistic about what’s needed in your life at that time and then when you solve that problem, you’re ready to take on that new challenge, it’s all the more rewarding. Tirico: You were CMO of Alfresco prior to your role at SalesLoft. What have you carried over from your time at Alfresco to your new role? Sloan: Before I got to Alfresco, I didn’t have a deep understanding of digital marketing and so, I really thank my time there of being able to build out a digital infrastructure, learn a lot about technology and build a great team. I’m very thankful for that experience. When I came here, I had that extra piece of the equation that I felt comfortable with. I think what I’ll always take with me, too, is the desire to give the team and the employees the opportunity to say, “This is the best team I’ve ever worked on.” That was my goal there. That’s my goal now. It’s what I strive for. I want people to feel supported. That they can develop their career and they can develop themselves. That really means a lot to me to make sure that fostering an environment where people can be their best selves and they know they’ve got the support of their work family and team. Speakers from Google, SiriusDecisions, DemandGen International, Spear Marketing, Oracle and more took the stage to educate attendees around the hottest topics in B2B marketing. 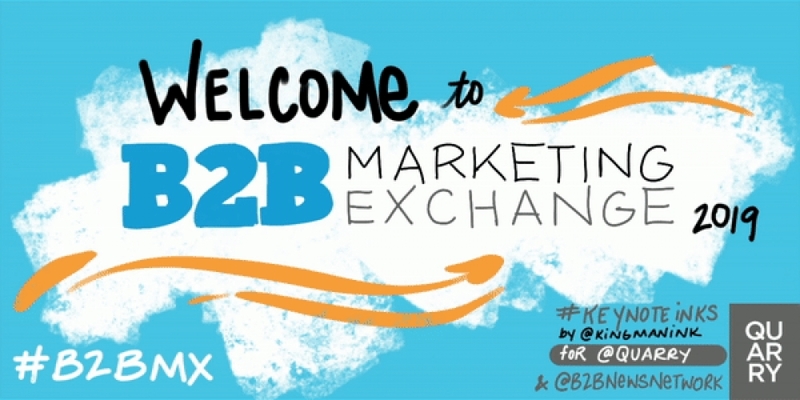 As usual, there was no shortage of great insights for attendees to take back to the office — just look at the #B2BMX feed on Twitter! With so many active attendees on Twitter, there’s hardly enough room to spotlight all the tweets in a single blog post. So, we rounded up our top 10 favorites below. Fuze’s Amanda Maksymiw shared a variety of tactics and strategies to incorporating industry influencers into your engagement strategy. David Lewis of DemandGen International discussed the growing importance of customer experience in business today, while sharing comparisons to the success of Netflix versus the demise of Blockbuster. @BrennerMichael 3 foundational tips for #ContentMarketing. 1) Document your content strategy. Michael Brenner of the Marketing Insider Group shared three foundational tips to a cohesive content strategy. Forrester’s Steven Casey discussed how the evolution of the “B2B consumer” requires businesses to act as helping hands versus conversion machines. SiriusDecisions analysts also shared research highlighting where B2B CMOs are adding headcount: specifically, in marketing ops, engagement and demand gen roles. Millennial and B2B business expert Brian Fanzo discussed the growing importance of authenticity in today’s branding. Striving for perfection ultimately has negative consequences on customer experience. Matt Senatore of SiriusDecisions shared the firms’ framework for incorporating ABM into a demand gen strategy. Lee Odden of TopRank Marketing discussed the benefits of an influencer strategy throughout the entire customer lifecycle. 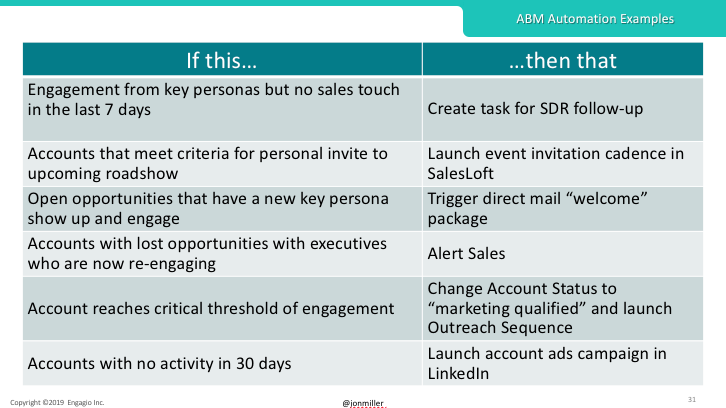 During her session, author Pam Didner discussed the pros and cons of several approaches that support sales enablement for ABM programs. She shared case studies and best practices around strategic planning, message crafting and personalized content to campaign execution. 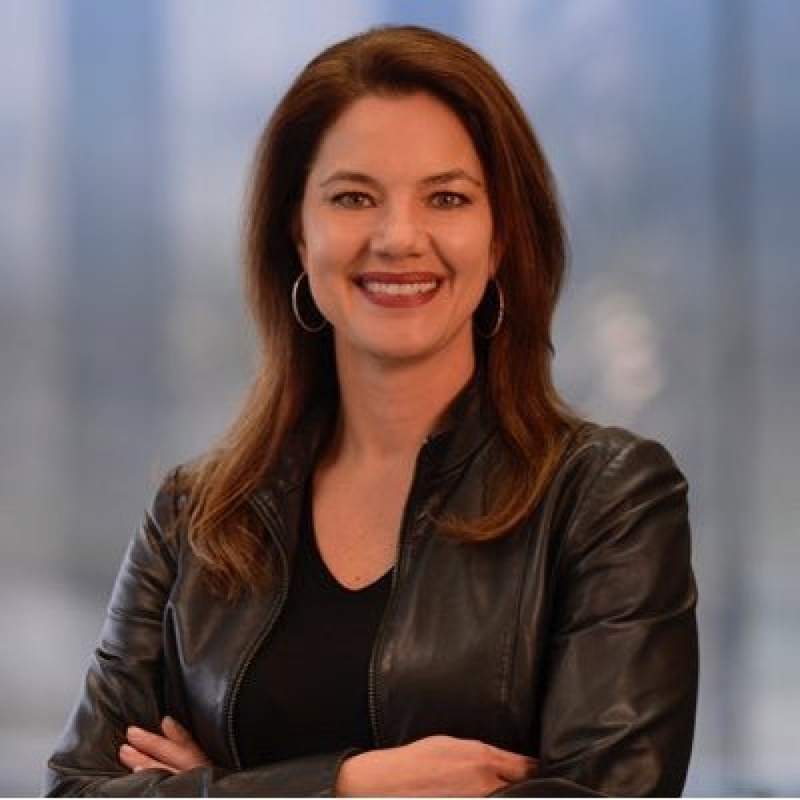 Quarry’s Meredith Fuller shared how her team has been working with Oracle to deliver relevant engagement with surging intent topics on prospective accounts. This may sound simple, but it’s not all unicorns and rainbows. 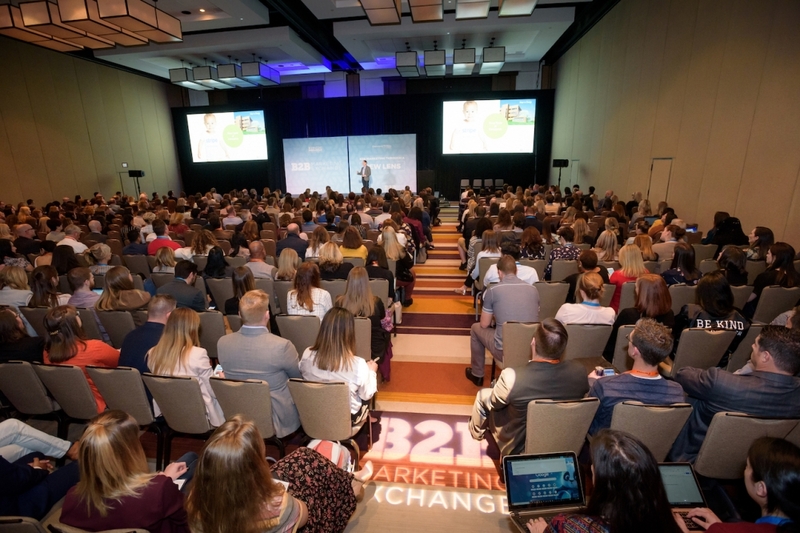 At this year’s B2B Marketing Exchange, Brian Fanzo, esteemed Millennial keynote speaker and Founder of iSocialFanz, will take the stage to help attendees master a Millennial mindset and market, collaborate and connect with digital natives. We caught up with Fanzo ahead of the event — taking place in Scottsdale, Ariz. Feb. 25-27 — to get a sneak peek at his presentation and hear the latest trends in B2B marketing when it comes to these digital natives. Brian Fanzo: In 2019, the speed of change and the number of distractions are at a level we’ve never seen before, and when it comes to change and distraction, the struggle is real for both B2C and B2B businesses. As we build our marketing strategies in this world fueled by change and distractions, we must look at our B2B business through a new lens focused on cutting through the noise. To do so, we must shift our focus to being more human and relatable with our marketing, while using new tools and techniques to embrace change but not become overwhelmed by change. Most B2B companies are looking at artificial intelligence, augmented reality and virtual reality as innovations that will drastically impact marketing in the future. But the smart companies today are taking baby steps to set themselves up to embrace these new mediums by creating content in dynamic ways through podcasting, live streaming video and influencer/employee account takeovers. DGR: What trends are you seeing in the B2B marketplace, specifically when it comes to the emergence of Millennials in the workforce? Fanzo: With Millennials making up over 50% of the workforce, the B2B marketplace is slowly realizing that Millennial employees care a lot less about having an open workspace or food truck Friday. Instead, they want to know that their voice is heard, be empowered to have an impact on their company and know that the company they work for cares about the wellbeing of their employees and is focused on making the world a better place. DGR: Your session will cover the concept of "experiences" and how there possibly may not be a clear understanding of what that means. Can you share a sneak peek of what you hope to teach attendees on that topic? Fanzo: All consumers today — not just Millennials — are smarter and more empowered than ever, and they know when they are being targeted with an ad and don’t want to be sold to or marketed at. So, the question becomes: how do we connect with this empowered consumer to provide them with what they want, while also building trust to turn them into a customer? The answer is experiences, which require a mindset shift from creating marketing focused on what the brand or product does to creating content that makes the consumer feel included, highlighting the problems we will help solve and why they should care. All consumers today want to feel like their voice is heard, while being a part of something special. 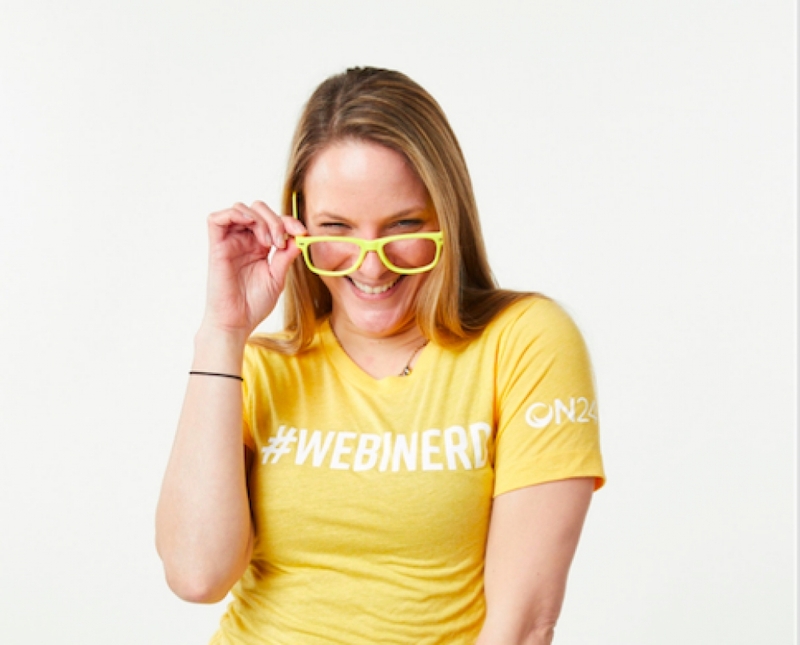 During my talk, I will explain the tools and tactics B2B brands can use to do just that. DGR: You also plan to talk about how B2B orgs must embrace the hyper-connected world buyers now expect. How do you plan to help attendees position themselves to embrace this mindset? Fanzo: In this new hyper-connected world, brands must understand it’s no longer about building something and having your buyers come to you. It’s about creating content and conversations where your buyers are currently engaging and, ultimately, building trust that inspires them to want more. I understand this change is hard and my goal is to not force you to change, but rather inspire you to shift your perspective and create a strategy that allows you to embrace change and plan for the future while marketing where your buyers are today. Fanzo: During my session, we will walk through the changing landscape of today’s buyers, while painting a picture of what the future will hold and creating a strategy for us to get there. The focus will be on putting ourselves in the shoes of our buyers, so we can shift our marketing from talking at our buyers to creating marketing that brings buyers on a journey with us through tactics such as employee advocacy, episodic video content and transparent, authentic conversations. Fanzo: I’ve been a longtime fan and friend of David Meerman Scott and Tim Washer, both of whom I saw speak many years ago. I have yet to hear their new presentations happening at B2BMX this year. I’m also a huge advocate for influencer marketing and artificial intelligence, so I’m planning on attending Amanda Maksymiw’s session, as well as Samantha Stone’s talk.